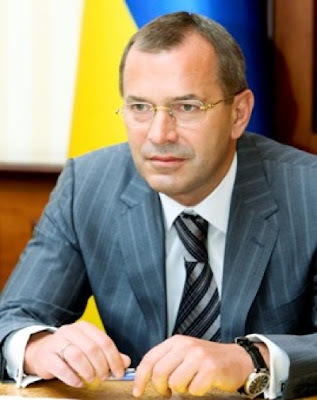 KIEV, Ukraine -- Corruption in Ukraine has become a major threat to national security, Secretary of the Ukrainian National Security and Defense Council Andriy Kliuyev has said. Secretary of the Ukrainian National Security and Defense Council Andriy Kliuyev. "Corruption in many ways is the reason for the ineffectiveness of the entire system of central and local government," the council's press service quoted Kliuyev as saying. He said that this was a key reason for the delay in reforms in Ukraine. "These things are interrelated: the official either works for himself or for the people. Therefore, today we have to make up for time lost in the last few years and quickly change the situation. I think that it's a question of Ukraine's survival - I'm not exaggerating," Kliuyev added. He said that today the issue concerned not only corruption. Ukrainian President Viktor Yanukovych has set the task of cleaning the government off corrupt officials and ineffective officials, Kliuyev said. "The Ukrainian president has on several occasions warned representatives of the government of all levels that he is waiting for real results in all areas of reform – from the creation of favorable conditions for doing business to the settling of certain problems in the housing and utilities sector. Now the time has come for [taking] responsibility," he said. He said the presidential administration was currently implementing a program to check the quality of the work of local administrations. Kliuyev also said that the Regions Party would mercilessly expel corrupt officials from its ranks. He said that it was necessary to get rid of such people before parliamentary elections, rather than after them. At the same time, he said that the lawlessness being created by "local potentates" was a problem for the whole of society, rather than a particular party.